Before we get started, you are going to need a handful of tools, as well as a bit of wire and some organic cotton for wicking. Don’t fret, the tools and supplies are very affordable. Your biggest expense will be the collection of RDA’s you’ll probably wind up buying as the ease in which you begin building coils and the urge to build ever more advanced coils. I highly recommend a Coil Master Kit OR the LV Complete Builder’s Toolkit . For a relatively small cost a coil kit will contain everything you need to start building right away. Each have the tools you need, so either one is a fine choice. I’ll go over the tools again a little later, for now, these are the two kits I recommend before building your first coil. 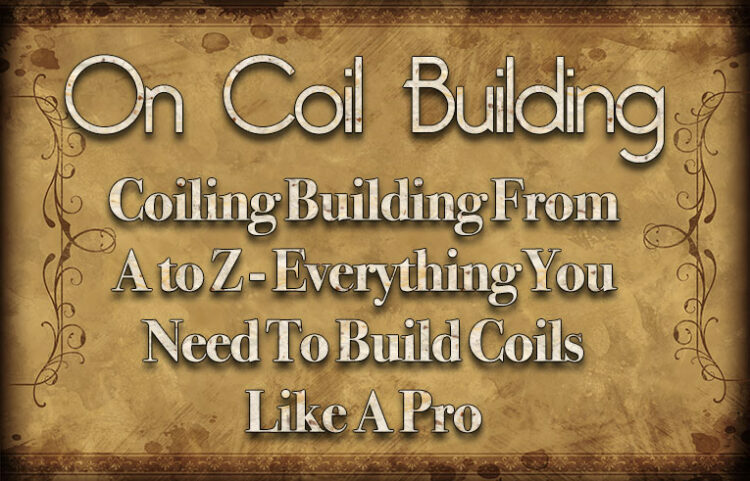 The reasons someone would want to become a coil builder and how to do so are simple. 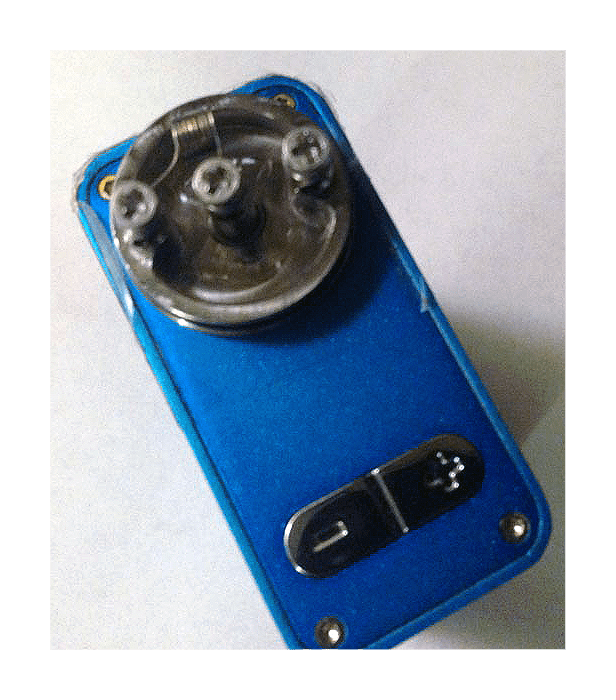 Building coils to vape with allows vapers to ensure larger clouds, increased flavor, and most importantly, specific preferences in their vaping experiences. 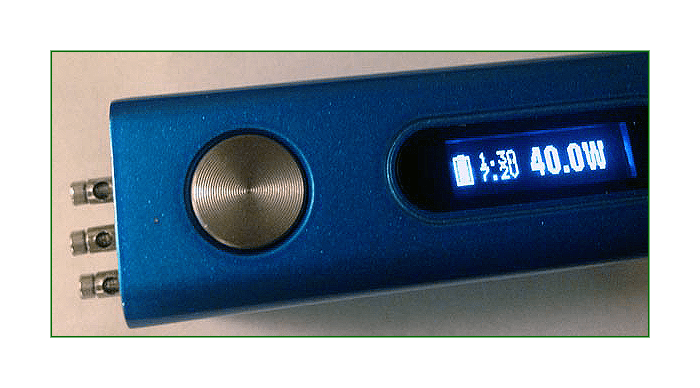 Many choose tanks over DIY (do it yourself) vaping, however there are those of us who like to vape with tanks or DIY methods, to adhere to our specific vaping preferences. The very first coil you should build is a 7-wrap, 26 gauge, 4mm Kanthal wire coil. The reason is that this coil is the most common coil built by DIY vapers, and is recommended for use at 30 watts, so the majority of devices should have no problem with outputting 30w. There are many sources for picking up a roll of 26 AWG Kanthal (26 gauge) on the web, MyVaporStore being one of them. If you find a source and they are out of stock, simply search with Bing or Google and you will surely a vendor with stock. Amazon lists great prices for more than one source of Kanthal. It is usually best to start with a 25-foot spool for around $5, this will provide more than enough wire for practice and experimentation. A Coil Jig and an ohms reader are also available from Amazon and other sources on the web. The ohms reader is more important. When you build a coil, you want to know its resistance, so it is safe for use with your mod, be it regulated (battery housing with wattage settings) or mechanical (simple battery housing with no adjustable settings or safety chip). If the amperage draw of your coil is too much for your battery, the battery can short circuit and burst. The 26 AWG coil described above is safe for most 18650 IMR battery mods. An RDA is a “Rebuildable Dripping Atomizer.” For 18650 mods, RDAs are usually 22mm in diameter. For a 22mm RDA one can install one or two coils, depending on their preference. Some RDAs only have two posts. For these, single-coil builds are usually the best option. Before wrapping a coil, you must select a rod. A coil jig or comparable tools for winding coils are best, however many builders prefer drill bits or screwdrivers, instead. So long as your rod is 3 to 5 mm in diameter, about the size around as a common ice pick or 9-penny nail, you will be able to easily wind your first coil. To wrap a 7-wrap 26 AWG Kanthal coil, first cut off 8 inches of 26 gauge Kanthal wire from the spool. Hold one end of the wire one inch length to of your wiring rod. Here is a photo of a piece of 26 AWG Kanthal A-1 on a coil jig. Simply wind the coil around the rod one time, ensuring that the wire makes a complete loop on the rod. That is the first wrap. It is okay to make sure the wire touches itself when you complete the wrap. Continue to wrap the wire around the rod six more times. Then pull the wire snugly, almost wrapping another half of a wrap, to where both ends of the wire run parallel. Squeeze the coil together while it is still on the rod to make it look like a small cylinder. 26 AWG does have a little ‘spring’ to it, and that is okay. Here is a photo of the coil still on the coil jig. Remove the coil from the rod and you have your first 26 gauge Kanthal 7-wrap coil, ready to prime and wick. To install the coil in your 22mm RDA, make sure the screws are open. Install the coil to where the coil itself is about 1mm away from the connection posts and tighten down the post screws. Clip off the excess wire sticking out of the posts with wire cutters or wiggle them until they break off. Check the build with the ohms reader. It should read about 1 ohms. Here is a photo of the coil on the ohms reader along with the 22mm Baal V2 RDA and some wire cutters. The other photo is a close-up of the coil on the ohms reader. Next, be sure to prime your coil. When you prime your coil, it simply means to get it hot enough to burn off any toxins from the Kanthal. Priming is also for shaping. When you get your coil hot, do not breathe the fumes. Also, prime the coil in a ventilated area. If nothing else, prime it while exhaling. Just remember not to breathe in fumes from any new naked wire. Here is a photo of the coil installed and formed on top of a Tesla TC 100W mod. to see fumes come off it. Squeeze the coil together gently so the wires are close together. If possible, use ‘rod pliers,’ or ceramic tweezers, to form your coil into what looks like a cylinder. Get the coil hot, release the firing button, then form the coil by squeezing it together and inserting the rod you wound it with, or use pliers meant for such an action. Repeating this process helps you form a near-perfect coil. Remember not to squeeze the coil or bend it into place while you have the firing button pressed down, or you will risk shorting out the battery. This kind of short is not too dangerous, however it can melt part of the coil in a specific point and break the coil. Once you have your coil formed into what looks like a cylinder, hold the firing button down for a few seconds and release it. This will show the coil light up orange from the center first and then to the outside, which is what you want and will see if you formed the coil properly. You want the coil to perform in such a manner for reasons related to safe polarity flow. Here is a photo of the coil showing how it is hottest in the center of the coil. The other photo shows the ohms reading on the mod when the coil was activated at 40 watts. for it to turn orange, again. 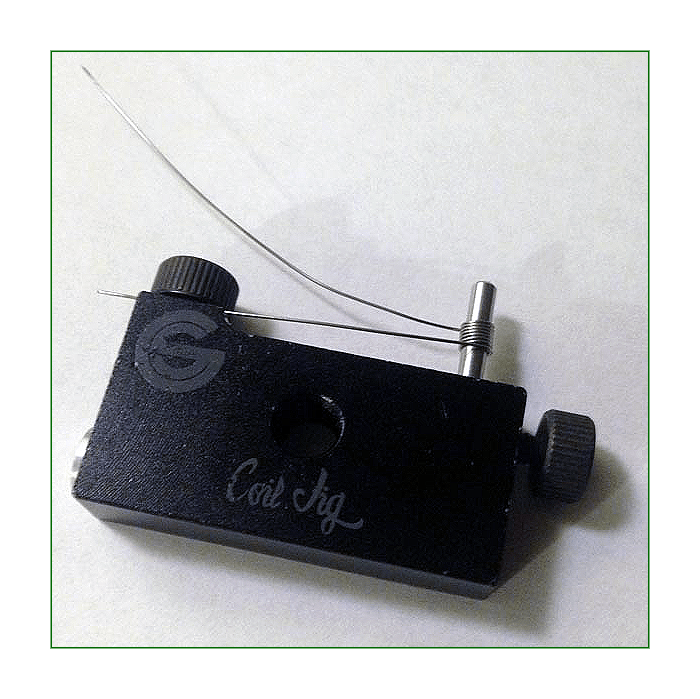 Let it cool and install a shoestring size piece of organic cotton or vaping cotton into the coil. 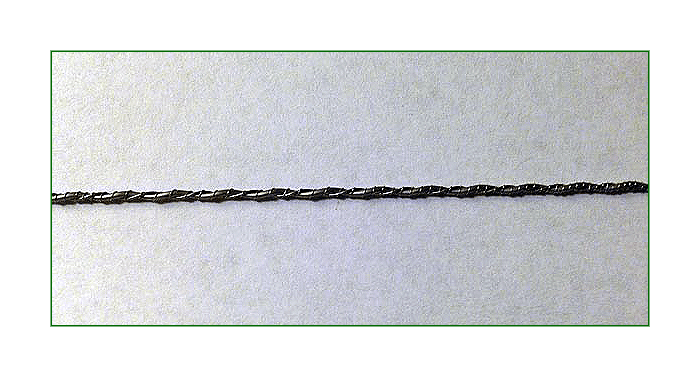 You can make an “invisible aglet,” or tip of a shoe string for threading, by twisting the end of a strand of organic or vaping cotton into a small cone, and pulling the cotton through. You want 3 to 5 mm of cotton showing on both sides of the coil, depending on your RDA or wicking preferences. Cut off the ends of the cotton to desired length, and tuck the cotton under the coil, if necessary. If the deck of your RDA has a deep drip trough, you can pull the cotton to the length from the coil to the deck, so it will soak up e-juice from the bottom of the deck. Always give your RDA a thorough examination before building your coil for it, and also consider how long you want your wick material to be. For a dual coil build, simply make two coils instead of one. The negative posts of an RDA are the ones on the outside, and the positive post or posts are on the inside. When installing two coils, loosen the screws and position the first coil. Tighten the negative post, leaving the positive post open. Then install the other coil on the other side of the positive post, tightening the negative post first. You will then have an open center positive post. Here is a picture of a dual 26-gauge Kanthal 7-wrap coil build, with the positive post screw still loose. priming. with any two-coil build, try to make your coils look exactly the same, so they will heat up at the same rate. Here is a photo of the dual coil build on a Drok ohms reader, after the coils were formed. Once you have cotton in your coils, you can drip some e-juice onto the coils and press the firing button a few times. You will see small vapors. Let the e-juice soak in a little, then proceed to add enough e-juice to saturate the cotton well. If you are out of e-juice, food grade vegetable glycerin is available at many pharmacies for cheap and can be used for vaping. Pure VG makes the largest clouds. If the deck of your RDA is deep enough (over 2mm deep), it is okay to add some more e-juice to the bottom of the RDA. This way the e-juice will soak up into the cotton after each vape. A good example of an RDA which can hold a preferable amount of e-juice is the 22mm Cylapex Gate RDA. Here is a photo of the dual coil build in the 22mm Baal V2 RDA with e-liquid saturated into some Japanese organic cotton. you can vape for 4 to 10 puffs. Once the vapor seems to begin to taste somewhat dry, to continue vaping, remove the top of the RDA and add 3 or four drops or so of e-juice to each coil installed. For people new to vaping who used to smoke, 4 or 5 large puffs off of a new build usually will satisfy your cravings for nicotine for at least half of an hour. For some, 4 or 5 nice puffs will last two to four hours. Some people take about four or five puffs in the morning, and that is all they need for the day. Most people vape according to their own opinion. Please, remember to be safe and vape responsibly. This is the simplest, safe, and popular way to vape with a DIY build. Many vapers think that there is really no reason to build a different sized coil or even to choose a different wattage level than 30 watts. Once you get this method down, you may prefer it over other coil builds. We can now discuss why you would or would not want to venture into coil builds other than the one mentioned here in the introduction to this article. We will also discuss why you might want to choose a different size or gauge of resistance wire, and we will cover the hows and whys of resistance and wire size as simply as possible. 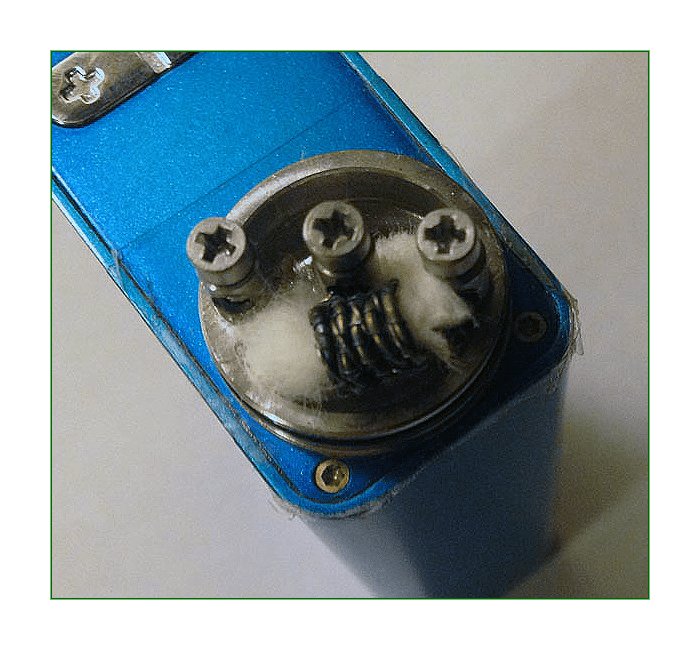 A simple explanation of why someone would want to build coils, as well as explaining the resistance of different-sized wires and coils is why we wrote this article. Nichrome 80 can be used much like Kanthal A-1 wire, yet it has a lower resistance. It is preferable by some over Kanthal because it heats up faster. 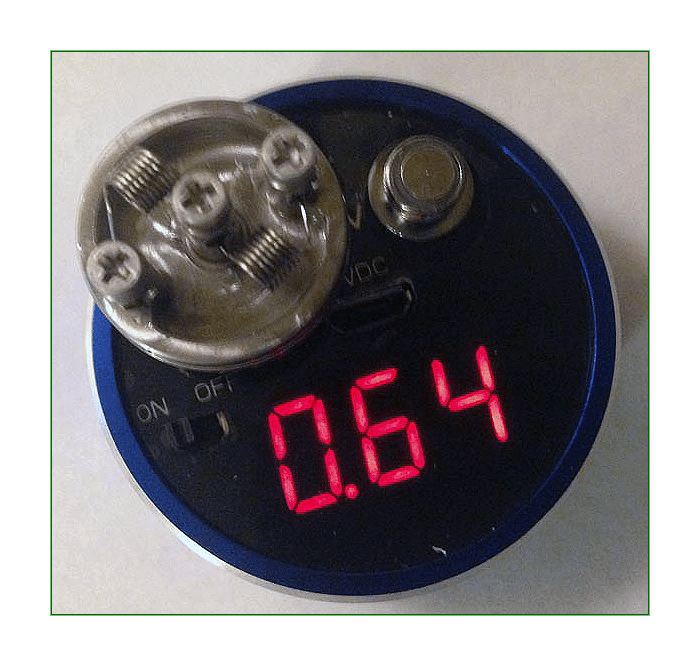 Many vapers consider the time it takes a coil to produce vapors to be its “ramp-up” time. 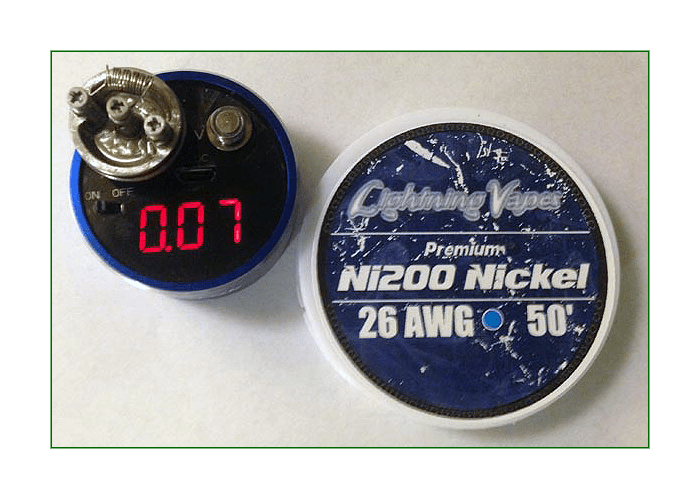 The same gauge of wire with Nichrome 80 and Kanthal A-1, when compared, will show that Nichrome 80 has less ramp-up time, as it has lower resistance. 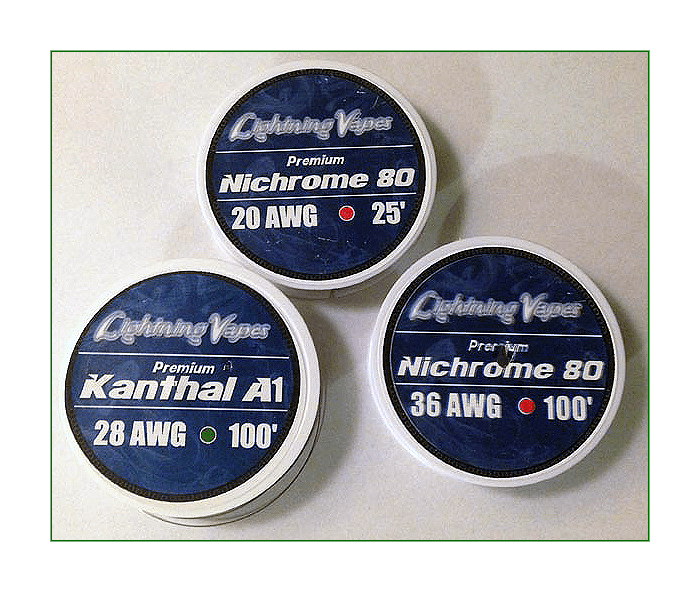 While some people torch Kanthal wire to remove most of its toxins and increase its workability before wounding it into a coil, most people do not use a torch with Nichrome 80, as it can be primed best once it is installed properly with an atomizer and appropriate mod. Plenty of coil builders prefer Kanthal over Nichrome 80, depending on the types of coils they enjoy the most. While a 20 gauge Kanthal coil may work with a regulated mod, even though its resistance will be super low, a 20 gauge Nichrome 80 coil may read “low resistance” and not be safe or work at all. Here is a photo of a 26-gauge 7-wrap Nichrome 80 coil. Notice the ohms reading is .8 ohms as opposed to the 26 AWG Kanthal A-1 reading of 1 ohms. Using Nichrome 80 is fine, so long as the resistance of your coil or coils is not too low. One popular choice is a 22 gauge Nichrome 80 Macro coil, which has a very low resistance. Macro coils are considered to be advanced coils, and we will mention a few advanced coils later on. If you own a multi-meter, you probably already have some knowledge of resistance. For building coils, use an ohms reader. They are designed for what you are doing and give you an accurate reading. With a multi-meter, even if it is digital, it just is not so easy or convenient to get a suitable read. Ohms readers are less expensive, and they ensure an accurate reading. They also use a 510 connection for RDAs. You can find them on Amazon or vape products websites. The one I use is a small Drok ohms reader I found on Amazon which can be recharged with a pass through (USB) connection. They are a little less in cost than some ohms readers. Mine has worked for at least four months, now. Most ohms readers with a 510 connection will be fine for testing the resistance of coil builds. If you want a real fancy one that can actually activate the RDA, remember that they cost much more and are really not necessary. If you plan to use your ohms reader to charge the battery of your PV or mod, remember to get one that has the battery connection a preferable distance from the 510 connection. Some people think that if you have a regulated mod, there is no reason, whatsoever, to have an ohms reader. They think this because they can quickly activate the firing button and see the ohms reading on their mod. Though they seemingly have an argument, it is best to use an ohms reader to see the resistance of your coil build before you install your atomizer (RDA) onto your mod, even if it has short-circuit protection and can display the coil build’s resistance in ohms. Also, with an ohms reader, you can check the resistance of your coils to make sure they are okay for use with your chosen Lithium IMR battery. This is necessary for coils wound for mechanical mods. It is always best to calculate the resistance of your coil as a safety precaution, to ensure that the amperage draw of the coil does not exceed the discharge capacity of the battery. Doing this makes sure you do not short-circuit the battery, which can cause the battery to get very hot very quickly or to burst, causing an explosion. Here in Spinfuel there is an ohms calculator (as well as Coil Wrap App) and a list of batteries and their amperage draw limits. Let us say you have, for instance, a Samsung IMR battery that says 25R on the side of it. 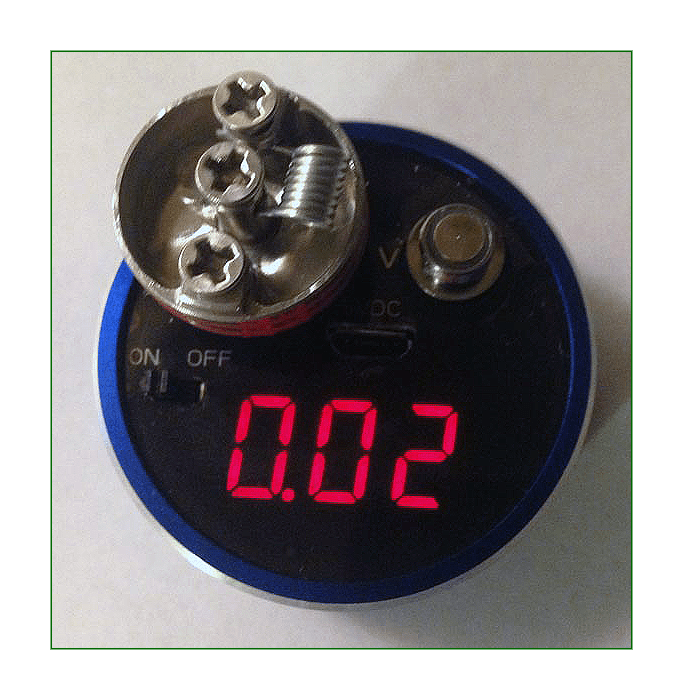 If you install a coil build in an RDA and take the ohms reading and calculate the build’s amperage draw to be 12 amperes, you are safe to use the build with the battery, because 12 is less than 25. When you take the reading from an ohms reader, it is to make sure that the reading is not too low for safe amperage draw. A Lithium IMR battery will have a discharge capacity. A safe coil build will have an amperage draw well below the capacity of the battery, as mentioned in the paragraph above. Be sure to check out additional information on ohms law and battery safety within the articles here in Spinfuel. We are constantly updating information in this realm of data and plan to have newer battery and resistance wire charts available, which will show more comprehensive details for specific battery types and wire. This way, you can build a coil, check out its amperage draw with Spinfuel data, and use it safely with a regulated device or mechanical mod. Tools made for DIY (do it yourself) coil builds are best for building coils, as opposed to tools you can find other than those. Tools used for DIY vaping ensure that your coils can be installed and formed properly. You want your coils to be made well for safety. Coils are much easier to make, too, with the right tools for doing so. Here is a photo of some basic tools for DIY vaping. The three pliers not strapped into the tool pouch are what I use the most for making coils. You can also see a coil jig in its box, as well as some tweezers, a sewing needle, and beard trimming scissors used for installing organic cotton. A quick discussion of basic tool requirements for DIY coil building should not be too complicated. One idea is to get a DIY kit. The most expensive DIY coil kits come with an assortment of tools and usually list for less than $60. The least expensive ones usually provide you with the bare necessities of DIY vape tools and go for around $14. To check out a few of these kits visit the Lightning Vapes website or other places on the web, like Amazon. I myself only got the bare necessities, at first, without getting a kit. This means I got some wire cutters before I got a coil jig. I then got the least expensive DIY kit available and have needed no other tools, really, since then. There are many items you can get for building coils, however you will not ever really need over four or five of them, in all probability. 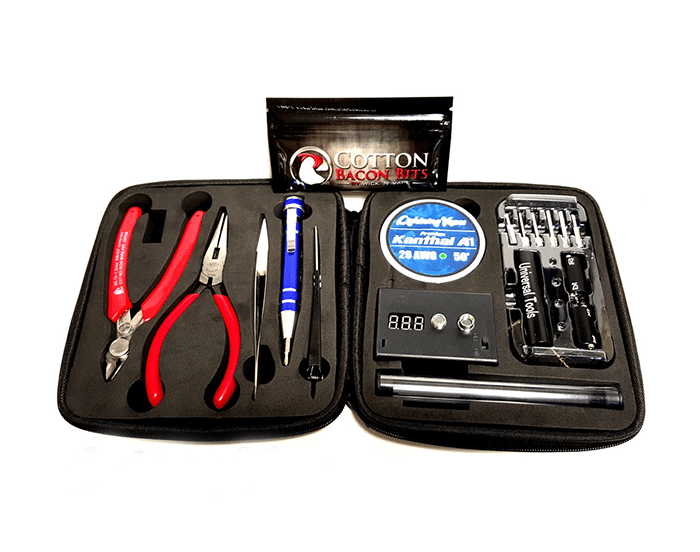 A really ‘sophisticated’ coil building kit may consist of a spool of 26 or 28 gauge Kanthal wire, 4 or five different kinds of pliers, organic or vaping cotton, an ohms reader, possible battery holders, coil rods in different sizes, ect. An example of one of these very useful kits can be found on Lightning Vapes or Vaping Cheap. A smaller DIY coil building kit will consist of wire cutters and other pliers. Even the smaller kits will sometimes include a coil jig or some cotton, ect. Wire cutters are the most important pliers, because they can be used for cutting Kanthal or other resistance wire properly, as well as cutting off excess wire from coil builds. Other pliers include those which are round or flat on the ends. These are for forming the coil for proper polarity flow. Some pliers use ceramic ends and are used for squeezing coils together. These are called ceramic tweezers. For advanced coil builds such as the Fused Clapton, nylon pliers, such as those found on the Michael’s website for about $9, are good for flattening the twists away from the inner wires. Ceramic tweezers are about $10 on Amazon, $4 on Lightning Vapes, and even less on FastTech, and are a safe way to form coils properly. 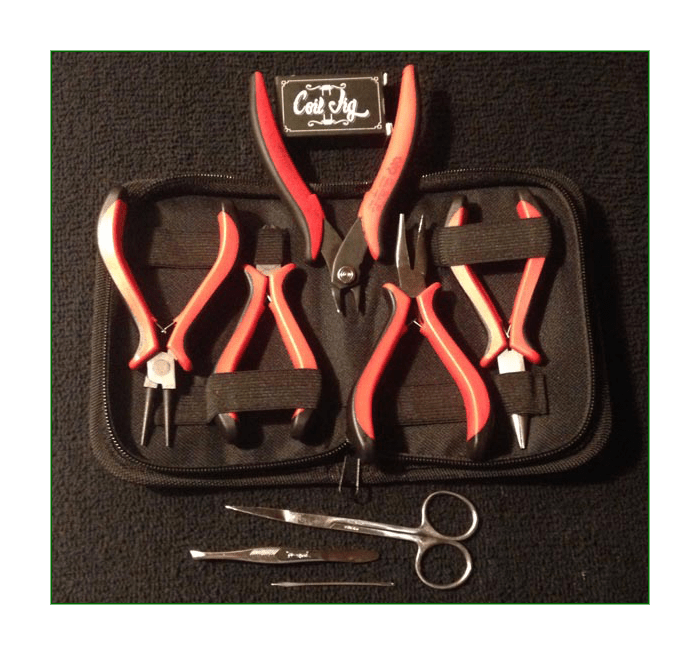 Other items can be used, too, such as fingernail clippers for cutting Kanthal, tweezers for changing out used cotton, a sewing needle for cotton adjusting, and small beard-trimming scissors for cutting cotton. Don’t forget eye protection. If you do not have safety glasses, at least sport some shades or other form of eye protection, especially when using a torch or using a drill for making Clapton coils. You will find what tools work best for you as you build your own coils. Remember to be safe in your endeavors. Kanthal A1 wire is of high grade and is commonly used for vaping. The most common choice is 26 AWG, which means the wire is 26 gauge and 4 mm in diameter. The gauge of a wire is the number given to the wire for its diameter, or how big around it is. Any gauge higher in number has more resistance, meaning that electricity flows through it less easily. Any gauge lower in number has less resistance, meaning that electricity flows through the wire easier, which increases the amperage draw of the coil build. Larger coils with less resistance are considered to be macro coils. The lower resistance a wire has, the higher its amperage draw is. The higher the amperage draw, the quicker your batteries run low. 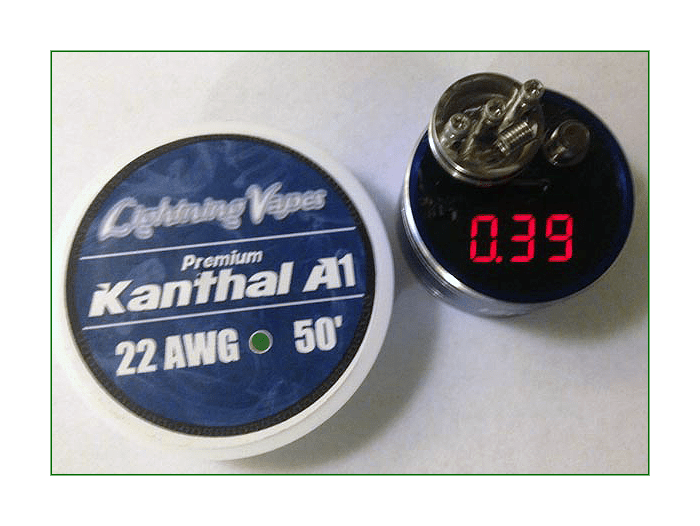 Why would you prefer a 24 AWG Kanthal A-1 7-wrap coil over a 26 AWG coil? As the wire is larger around, it can make larger clouds and still retain plenty of flavor. Experimenting with different coils helps vapers find what they like most. Take it easy when learning these things and be safe. A popular choice for wire other than 26 gauge Kanthal is 28 gauge Kanthal. They seem very similar and are, however 28 gauge wire is sometimes preferred because it will have less amperage draw and produce less warmth in a vape cloud. Here are some example photos of coils on the Drok ohms reader to show how resistance decreases as the gauge number of a wire decreases. The next photo is of a 28 gauge Kanthal 7-wrap coil. Notice the ohms reading is 1.61 ohms, as opposed to the 26 AWG coil above which read about 1 ohms. The next photo is of a 24 gauge Kanthal 7-wrap build. Its ohms reading is only 0.66 ohms, which means it has less resistance and more amperage draw than the 26 AWG coil. Here is a photo of a 22 gauge Kanthal 7-wrap build. The ohms reading is 0.39 ohms. Again we see how an increase in the diameter of the wire gives a coil less resistance. This coil will have more amperage draw than the 24 AWG coil. 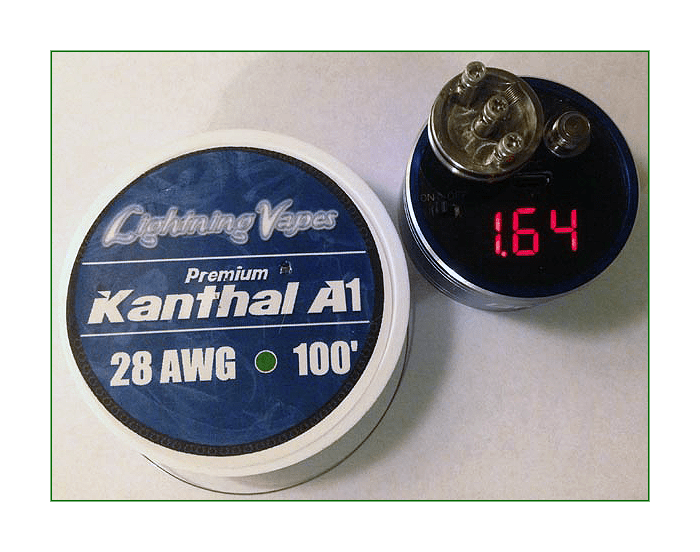 When first starting out building coils, it is simply best to learn with Kanthal A-1. It will be easy to decide on what you prefer the most upon experimentation. Though it can be frustrating at times, a little patience will go a long way. Remember to start out with either 28 or 26 AWG Kanthal A1. Use your ohms reader and again, be safe. 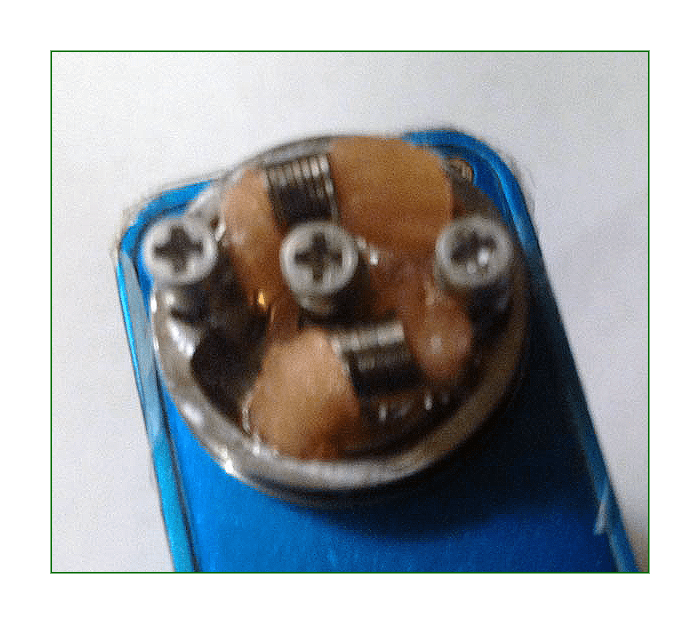 When building coils, one may ask, “Can I build a coil for temperature control?” The answer is yes, however I do suggest sub-ohm tanks for TC vaping. TC coils via the DIY method can be complicated and take experience to do properly. They also do not always perform even possibly close to how other coils perform that do not require TC. If you really put forth the time and effort to make a TC coil, say with Ni200 or Ti, it is possible to enjoy a pleasurable vaping experience. Many times, if you are wounding up a TC coil, it will be to replace a coil within an atomizer head for a sub-ohm tank. Here are a few pictures, anyway, of TC DIY coils and their ohms readings. Remember, do not use Ni200 or Ti without temperature control. The wires melt easily, giving off dangerous, carcinogenic toxins if not used properly. This first photo is of a 26 gauge Ni200 12-wrap coil. The wire has such a low resistance that a coil of this nature requires as many as 12 wraps to produce flavorful vapor clouds without showing “Low Resistance” on a TC mod. The next photo is of a Titanium coil build, which uses an 8-wrap coil. The next two photos show a stainless steel wire coil build. has a low resistance. If you use it in an RDA, remember to prime it well, burning out all of its toxins, before, you wick the coil and saturate it with e-juice. Companies are already saying that Stainless Steel resistance wire is a great alternative to Kanthal A1, due to its composition, however it is still new to the vaping market and should be researched before its use. and SS are the most common wires used in vaping. A list of various wire used for vaping is as follows: Kanthal A1, Nichrome 80, Nickel 200, Titanium, Stainless Steel, Annealed Ni200, Tempered Ni200, and Ribbon Kanthal A1 or Nichrome 80. Other wires are as follows: Platinum wire, Niobium alloy, NiFe30 or Resistherm, and Competition Alloy wires. Kanthal wire can actually come in different grades or ingredient blends. It is best to go with A-1, which is, for the most part, the most common. Kanthal A-1 26 AWG, you cannot go wrong with it. Once primed, it is the safest and easiest to use wire, and there exists a great deal of information on it on the web. According to Wikipedia, Kanthal, alloy 875/815, is in the iron-chromium-aluminum family (FeCrAl). Wiki also states that the first Kanthal FeCrAl alloy was developed by Hans Von Kantzow in Hallstahammar, Sweden. 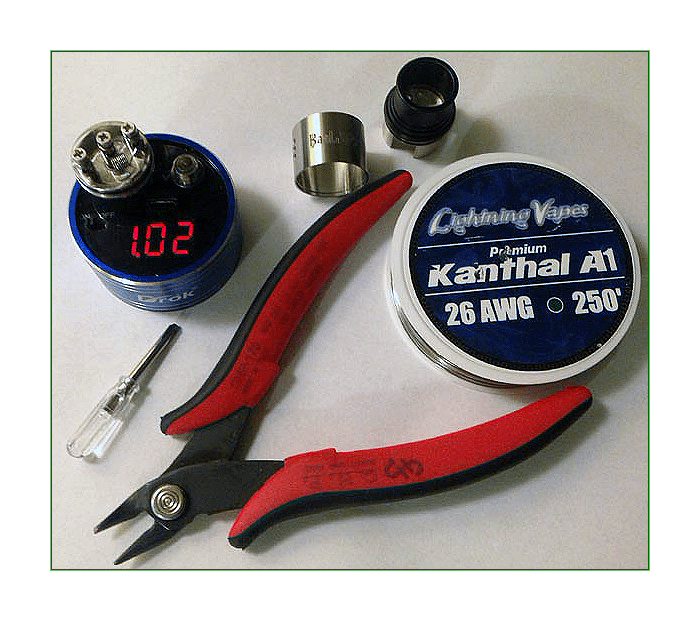 You may notice that most of the photo examples for resistance tests and coils included within this article were done with Kanthal. This is because it is so commonly used and also because it is one of the only choices for vaping wire that is easy to use different sizes with. You can do a lot with it, in regards to coil building. It is great for beginners and many times the only kind of wire plenty of us will use for vaping. For advanced coil building, such as Clapton, parallel, and macro coils, Kanthal A-1 comes in very handy. A 24 AWG Kanthal A-1 wire Claptonized with a 30 AWG Kanthal A-1 wire is not too difficult to construct into a Clapton coil with a drill with some experience and practice, which is yet another example of how and why Kanthal is so popular amongst all varieties of coil enthusiasts. In regards to TC (temperature control), Ni200 and Ti are the most common, followed by SS, currently. Ni200 is Nichrome wire, which has an interesting history. According to Wikipedia, Nichrome wire received a patent in 1905 and is the oldest resistance wire, used in small heaters and even ceramics, as it can hold its form in the heat of a kiln. Newer alloys are now used for vaping. Wiki also says Nichrome, NiCr, or Nickel-Chrome, is an alloy consisting of Nickel, Chromium, and often iron. The reason Nichrome is expensive has to do with the cost of Nickel metal. Nichrome’s approximate melting point is 1400°C or 2550°F. 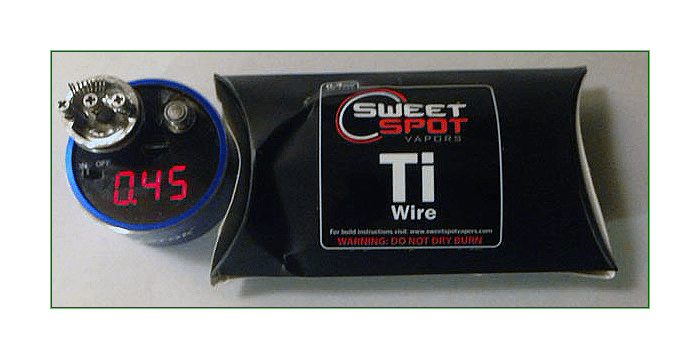 In the realm of vaping, however, it is safest to use TC wire, including Ni200, at temperatures below 600°F. SS is sometimes recommended for TC cut-off levels as low as 550°F with sub-ohm tanks. Ni200 is often seen on the gift box of sub-ohm tanks. This is because it is the most common TC wire, and works well with TC devices. Many regulated mods which use temperature control, in example the SMOK X Cube II, can identify Ni200. This is to be able to cease to provide current to the coil being used if the coil rises above a certain temperature. If a Ni200 coil’s temperature rises above 600°F, for instance, the wire may begin to give off dangerous/unwanted toxins. People new to vaping should remember that Ni200 is for TC, only, and cannot be used as one would normally use Kanthal with wattage mode. This is simply because, while a Ni200 coil may not melt apart immediately upon use in such a manner, it will still give off toxic fumes at higher temperatures. Ni200 is great for sub-ohm vaping with TC devices, as such practices allow batteries to last longer and can provide for increased flavor in vaping. Remember, only use Ni200 with TC. Titanium wire is also a very common resistance wire and should be only used with TC. Ti has more resistance than Ni200, so it is sometimes easier to work with for DIY coils. Using TC with Ti DIY coils is still necessary, because, like Ni200, at higher temperatures Ti wire will give off toxins. Many times you will see a sub-ohm tank with replacement atomizer heads, available with both Ni200 and Ti coil structures. Which is better? Well, in this case, you pretty much have to try out both of them to see which one is preferable in your opinion, as the coils will behave in a similar manner for vaping. Titanium, according to Wikipedia, is a chemical element, Ti, discovered by William Gregor in Cornwall, Great Britain, in 1791. While Ti wire may have a slightly longer ramp-up time than Ni200, its having more resistance than Ni200 is sometimes the reason vapers prefer its uses in sub-ohm tank atomizer heads. For using Ti wire with DIY coil building and advanced coils, Ti wire can be used with various gauges for reasons due to its resistance properties. This is not recommended, however with an amount of experimentation one can use Ti safely and benefit from its properties, enjoying cooler vape clouds with maximized flavor production. All in all, sub-ohm vaping with temperature control and Ti is a common and safe way to vape. SS wire is wire made of Stainless Steel. Vendors sell competition grade resistance wire for vaping with special alloys or metal mixtures. It is not too hard to find some SS wire for vaping off the web from sources such as Vapor DNA and Origin Vape. In regards to SS, it is of low resistance and can easily be dangerous. Always check out the resistance of a coil build with an ohms reader. SS is not the only wire which may be hard to build with. Check wires of these natures out, such as “G-Plat” Platinum wire, before you buy them. 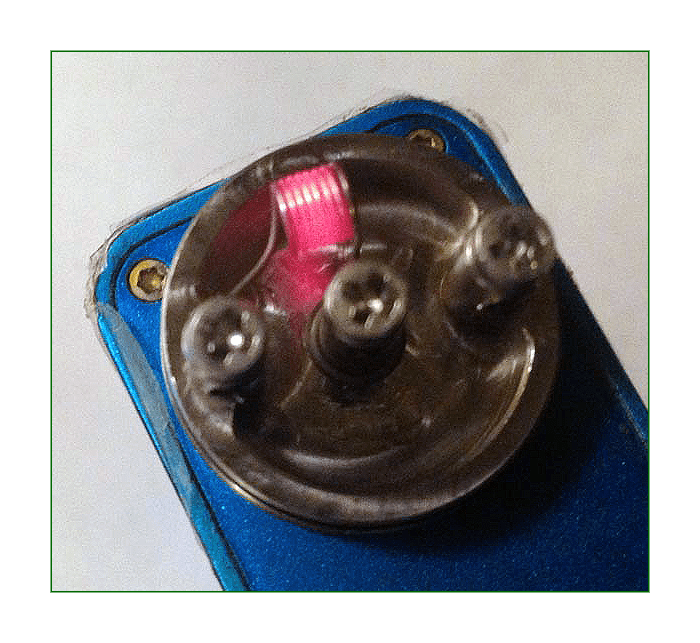 You simply do not want to get some brand new wire, thinking it will be the next best thing to anything, wind it up into a new coil, and find that its resistance is so low it does not even register on your ohms reader. On the web there exists confusing information in regards to SS wire. Many sources say it is for TC only, while others say it can be used as a replacement for Kanthal. If you are new to DIY coil building, it is best to only use SS wire with sub-ohm tank systems designed and tested by a manufacturer, such as the Triton system by Aspire. Be safe and remember to test your wire upon its use, no matter which kind you get. If you already ordered some SS competition wire or really just wanted to get some because of a flashy package, be sure you do the necessary research to learn to use the wire properly. Another idea to remember is that SS wire is easy to find from various sources, such as hardware stores or welding supply vendors. If you are going to vape with SS wire, be sure to get some that is made for vaping. Other kinds of SS wire will look highly similar with their packaging, yet may not be safe for vaping. Even if you see a pretty coil heat up that appears to work properly, SS wire made for use other than vaping or not specifically for vaping may have a different chemical make up and give of dangerous toxins upon use, even after priming. Though SS may seem rare, it is out there and a choice of a few leading vape products manufacturers. One device, the SMOK X Cube II, actually has a setting for SS. Its BEC software can be upgraded to identify SS sub-ohm coils. This is a safe way of vaping with SS and TC. It is a more expensive method, however there are those who may prefer it for efficiency with battery life and e-liquid use, claiming the method to also be great for flavor/cloud production and ramp-up time. In regards to competition, very low resistance wire, remember the reason it can be dangerous. With no resistance in a coil, the coil can short circuit a battery, causing it to get very hot very fast and burst or explode. Always check the resistance of a new coil build with an ohms reader, especially before using a new coil with a mechanical mod. Just because you see someone vape with a special wire on a mech mod does not mean that their setup is safe. 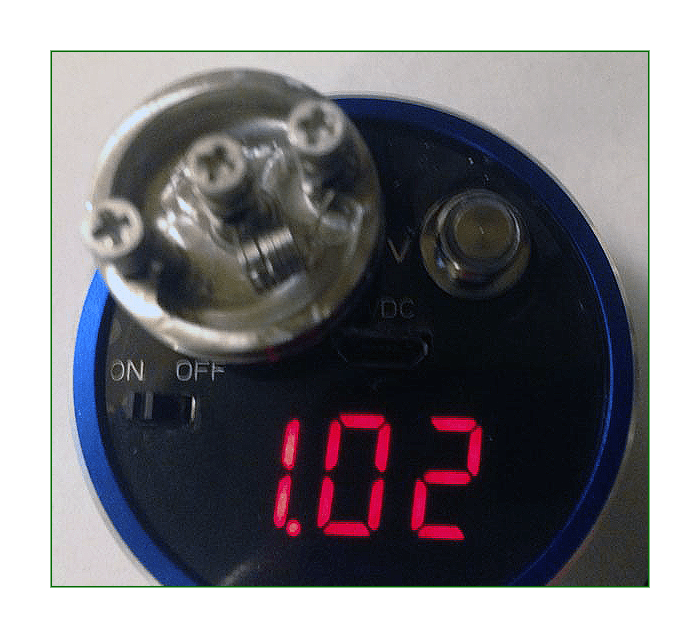 A coil build with dangerous resistance levels can still be used, getting the battery hot and draining it out –this is a very dangerous practice and should not be done. No one wants to blow up a battery while vaping. Be safe and do your calculations. Even more kinds of wire are mentioned above. When you see a kind of wire advertised, research what it is made for. Ask questions like, “Is this wire only for TC?” and “Is this wire safe for use in non-TC mods?” Read what others have to say about the wire and be cautious to note the accuracy of your sources of information. Someone may give a kind of wire a great review, even if they did not even know how to use it properly. Many DIY vapors simply stick with Kanthal A-1 and do not think other wire can be used in the same way that it can. For the most part, this is true. One kind of wire that can actually be used with VW (variable wattage), which does not require TC, is Nichrome 80. As said above, plenty of advanced coil builders still prefer Kanthal A-1 over Nichrome 80 upon its use, as Kanthal has more resistance. 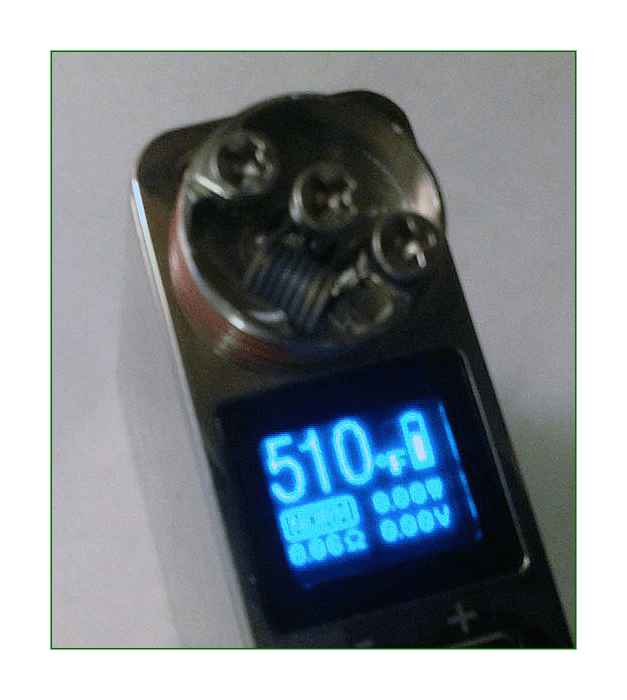 For smaller coils, however, many like Nichrome 80 more, because it has a faster ramp-up time. A 26 AWG 7-wrap Nichrome 80 coil will actually use up the life of your battery faster than the same coil wound with Kanthal A-1, however the difference is hard to notice. It is best to charge up Lithium IMR batteries before they run out of power. This will allow them to last longer in the long run. It is commonly suggested to go ahead and re-charge your batteries when they fall below 40% of their capacity or so. I recharge mine in such a method, usually doing so every other day. Other wires mentioned were ribbon wire, Platinum wire, Annealed/Tempered TC and non-TC wire, Niobium, and Resistherm (NiFe300). Other resistance wires are usually competition wire consisting of various alloys and should be tested properly before use with vaping. Ribbon wire is used in vaping due to its surface area. It commonly comes in the form of Kanthal or Ni200. Ni200 ribbon wire is for TC only. Kanthal ribbon wire is used for a variety of reasons. You can make a coil with it alone, test it out, and vape like you would with normal Kanthal, however Kanthal ribbon is usually used with advanced coil builds and experiments of those natures. Annealed or Tempered Ni200 wire can be used with TC and rebuilding atomizer heads –always test its resistance to make sure it is safely compatible with the device you are using it for. Annealed/Tempered Kanthal A-1 wire is used, though it is sometimes a little more rare and more expensive than normal Kanthal A-1, for coil building because it is easier to work with and can have better vaping properties. Platinum competition wire is of low resistance and is much like SS competition wire. As mentioned above, be safe and do your research when using these less common choices. The last two kinds of resistance wire we will mention are Niobium alloy wire and Resistherm (NiFe300). Niobium is commonly used for jewelry making yet can be found with some effort on the web. It is a resistance alloy wire. Be sure to test its ohms levels and do your research to figure out whether it is safe for use, as it is made for use with TC. The same goes for NiFe300, or Resistherm. The two kinds of wire are not extremely popular, like Kanthal A1, however they are available from certain sources. Resistherm, or NiFe300, is an alloy resistance wire which contains Nickel and Iron. Learn more about rarer or new wire alloys of this nature with sources on the web such as e-cig forum. Companies such as Dicode and others in China are currently popularizing new alloy wires such as Resistherm for use with temperature control. TC wires of these natures, like TC wire in general, are not safe to use as you would normally use Kanthal A-1 in DIY coil building due to their extremely low resistance levels and lower melting points. Again, lower melting points mean alloy wires of these natures can give off dangerous toxins when not used properly. Though introducing these toxins in small levels may not have long term effects, continued use may be hazardous to human health and can cause cancer. All in all, there are many resistance wires out there to choose from. Be safe and select wire that is actually manufactured for vaping and use resistance wire properly. When using TC wire it is usually best to do so with sub-ohm tanks. 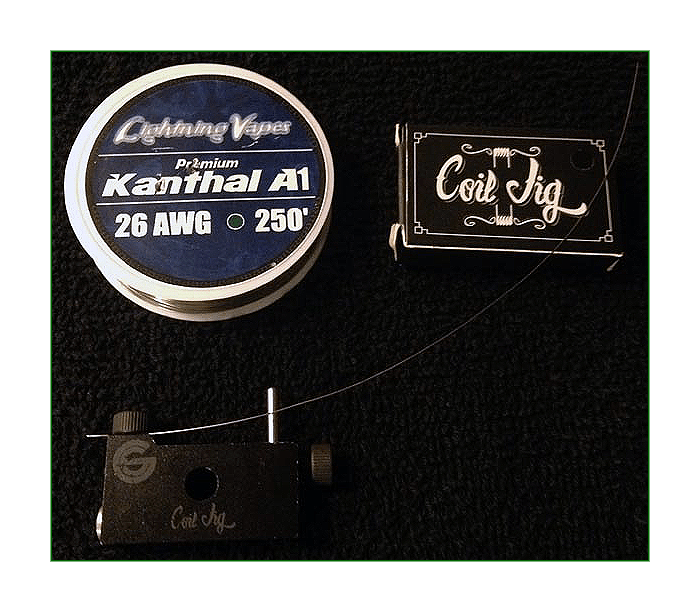 When new to building coils, experiment first with Kanthal A-1 26 AWG or 28 AWG wire. Remember, as the gauge number of resistance wire increases, the wire is wider in diameter. The wider a wire is around, the less resistance it has. The thinner a wire is, the more resistance it has. To increase the resistance of a wire coil, increase the number of wraps the coil uses. An example of this was seen in the 12-wrap Ni200 coil. With only 8 wraps of the same wire, the coil may not register any resistance, whatsoever, on an ohms reader. Extremely low resistance can short circuit a battery. Never use TC wire to vape with as you would normally use Kanthal A-1 with a wattage selection and no TC. Be safe and remember to do your research. Any coil other than a 28 gauge or 26 gauge 7-wrap coil can be considered to be advanced. Sometimes, if you order an RDA it will come with some silica wick and some wire wrapped around it, which can be installed and used for vaping. Other than that, a coil is going to take additional testing to make sure it is safe and does what it is designed to do. Usually, a special coil is for TC or flavor enhancement and increased cloud production. Advanced coil builders many times have specific preferences on what they like more than what they do not. Here are a few thoughts on some popular advanced coils. A list of the most popular advanced coils for coil building is as follows: macro coil, parallel coil, Clapton coil, Twist Coils, Braid Coils, Staged Coils, and Fused Claptons. There are plenty of other advanced coils, many of them can be built by watching videos on YouTube. They are of very low resistance and can take hours on end to construct, as well as an amount of patience and skill. A few names of the even more advanced coils are the Alien Coil, the Stapled Helix, the Arched Clapton, the Stitched Alien, the Framed Staple, the Kumihimo, the Helix, the Caterpillar Track, the Staggered Fused Clapton, the Vertebraid, the Tidal, and the Inception Coil. These are more for hobbyists, however there does exist function behind these coils’ fashion -flavor and cloud production. 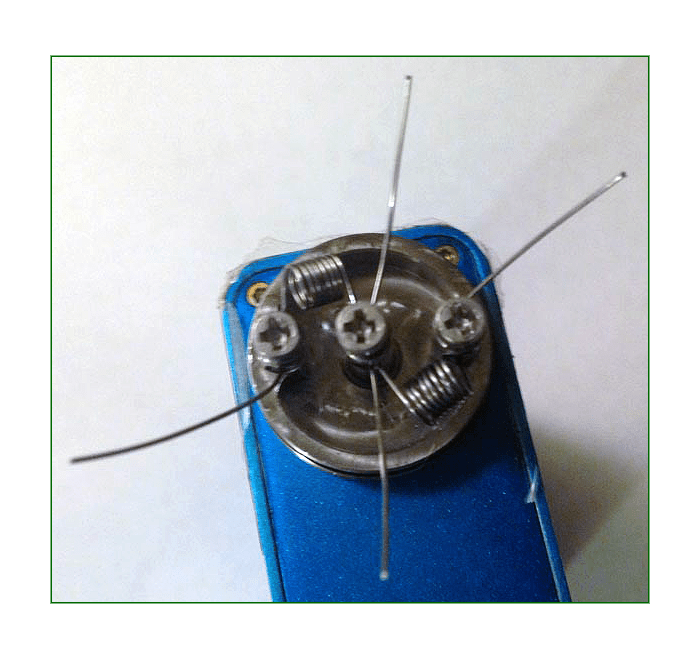 Here is an advanced coil that is not too hard to construct, once you have learned how to make Clapton coils. It is much like a tidal wire coil. The Claptonized Tidal Coil takes only 3 strands of wire. 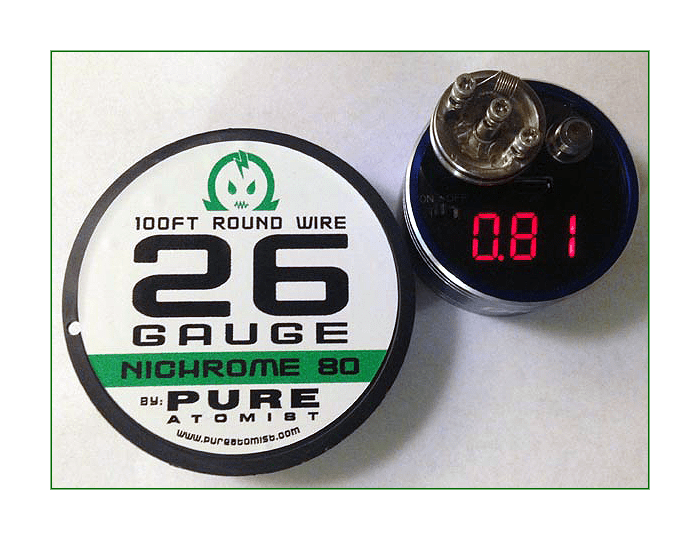 One wire is an 8″ strand of 20 gauge Nichrome 80, the next is an 8″ strand of 28 gauge Kanthal A-1, and the last is a 30″ strand of 36 gauge Nichrome 80. This build requires a drill, too, in order to straighten out the two larger wires. Use the drill to twist the 20 gauge Nichrome 80 with the 28 gauge Kanthal until it looks like a rope. Then Claptonize the twist with the 36 gauge Nichrome 80, leaving a 1mm gap between the small wraps for toxin release when priming. This coil has a relatively quick ramp-up time and does soak up e-juice. It also does not take very long to construct compared to many of the advanced coils mentioned above. Here are a few pictures of a Claptonized Tidal coil build. The first one is of the three kinds of wire. Advanced builders will notice I chose not to use ribbon wire. The second picture is of the three wires ready to be wound into a coil. The third picture is of the coil installed and wicked in the Baal V2 22mm atomizer on top of the Tesla TC 100W mod reviewed here in Spinfuel. I vape with this coil at 60 watts and the mod reads .14 ohms. a fun hobby for people who love to vape. In time, you will find what works best for you. In conclusion, as long as you are safe with DIY (do-it-yourself) coil building and vaping, it is a very fun and rewarding way to vape. Stay safe. Use your ohms reader. Do your calculations. Many find DIY vaping to be time consuming, however many also enjoy spending the time it takes to find their own definition of success with DIY vaping as an exciting and satisfying hobby. It is always fun to make something that works properly, and when that very something allows for the best flavor and cloud production possible, the reasons for having spent the time to learn more about DIY vaping are self evident and satisfying, indeed. Remember to know your limits. Start off with a small, 28 or 26 gauge 7-wrap coil, a 22mm or dual-post RDA, and an ohms reader. Write down the specifications of your batteries to know their amperage draw maximum levels. Take notes on what you like and may not prefer, experiment and learn safely. In time, you will attain an understanding of what is safe, what you like the most, and why. With experience, you can decide upon the size of your coils and your choice of wire. Remember to always be safe when you are coil building and do the research necessary to know what you are doing before you try out something new, such as competition wire. Many vapers enjoy the benefits of advanced coil building as they want to see larger clouds and increased flavor. With experience from building simple coils and conducting coil research, advanced coil building can become easier and less time consuming. If you are new to vaping or new to DIY coil construction, remember to begin your efforts with Kanthal A-1 wire. Be safe and do not exceed your limitations. In time, you will know all you want to know about DIY coil building and vaping in general.